We’d love your help. 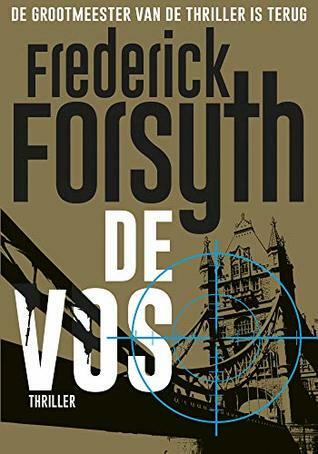 Let us know what’s wrong with this preview of De Vos by Frederick Forsyth. Het voormalige hoofd van de Britse geheime dienst Adrian Weston wordt midden in de nacht wakker gebeld door de premier. Haar bericht is schokkend: de strengst beveiligde firewalls ter wereld, van het Pentagon, de NSA en de CIA zijn tegelijkertijd gehackt door een hacker met de bijnaam ‘de Vos’. Nog schokk Wat als het gevaarlijkste wapen ter wereld een tiener blijkt te zijn? To ask other readers questions about De Vos, please sign up. Aunque la trama en principio es muy interesante, el servicio de inteligencia de EEUU ha sufrido una intromisión,"un ataque", sin embargo, no han robado nada, no han dejado nada, no hay extorsión... no han dejado ni una solo pista de quién o qué puede haber sido. Adrian Weston ex jefe del Servicio de Inteligencia Secreto Británico es el encargado de realizar estas investigaciones que le llevan hasta un niño de 16 años con Síndrome de Asperger, Luke Jennings, el mejor hacker del mundo y los americ Aunque la trama en principio es muy interesante, el servicio de inteligencia de EEUU ha sufrido una intromisión,"un ataque", sin embargo, no han robado nada, no han dejado nada, no hay extorsión... no han dejado ni una solo pista de quién o qué puede haber sido. Adrian Weston ex jefe del Servicio de Inteligencia Secreto Británico es el encargado de realizar estas investigaciones que le llevan hasta un niño de 16 años con Síndrome de Asperger, Luke Jennings, el mejor hacker del mundo y los americanos quieren su deportación porque ha hackeado sus sistemas, su misión será protegerlo de los espías enemigos y aprovechar sus conocimientos. Novela al más puro estilo de las películas norteamericanas de espías, muy entretenida en cuanto a la trama pero no en cuanto a la narración, parece casi más una crónica periodística de la actualidad internacional con pocos diálogos y muchos datos reales, mezclados con la ficción. Tiene tantísimos nombres de espías, datos reales, viajes, situaciones, a veces inverosímiles y un final tan surrealista que resulta complicado seguir la trama. Terrible book. Much like Wilbur Smith and Tom Clancy, Forsyth has entered the realm of successful thriller writers that allow publishers to ghost write books for them. This book has none of the style, or pace of of a Forsyth novel. There’s no depth to any of the characters and the plot lurches from one confrontation to the next. The computer hacking is described only through cliched metaphors and the only exposition is about the covert military and intelligence services of various countries whic Terrible book. Much like Wilbur Smith and Tom Clancy, Forsyth has entered the realm of successful thriller writers that allow publishers to ghost write books for them. This book has none of the style, or pace of of a Forsyth novel. There’s no depth to any of the characters and the plot lurches from one confrontation to the next. The computer hacking is described only through cliched metaphors and the only exposition is about the covert military and intelligence services of various countries which is repeated ad nauseam throughout the book. I found this to be very realistic. It has a modern day international espionage. Very though provoking considering the state of our world affairs right now. When you thin an eight-teen -year old hacker could tap in a become a weapon and a target. A great read. I won a copy of this from the publisher for my honest review. Not Such a Cunning Fox! For me David Rintoul wa Not Such a Cunning Fox! We’ve been enjoying Frederick Forsyth since his debut with “The Day of the Jackal” in 1971. Unlike other popular authors, he doesn’t pump out a full-length novel every year, but rather has published a new international thriller at roughly three-to-five year intervals – a span no doubt reflected in the diligent research and contemporaneous timeliness of his suspenseful plots. “Fox” is no exception as it traces the “art” of cyber warfare via the unbelievably brilliant hacking abilities of a British We’ve been enjoying Frederick Forsyth since his debut with “The Day of the Jackal” in 1971. Unlike other popular authors, he doesn’t pump out a full-length novel every year, but rather has published a new international thriller at roughly three-to-five year intervals – a span no doubt reflected in the diligent research and contemporaneous timeliness of his suspenseful plots. “Fox” is no exception as it traces the “art” of cyber warfare via the unbelievably brilliant hacking abilities of a British teenager, Luke Jennings, who ironically is afflicted with Asperger’s Syndrome. After he comes to the attention of the US NSA, the Brits ask him to perform similar tasks that affect Russian ship navigation and other unusual assignments. This adventure centres on a teen lad with Asperger's who lives in his computer attic and hacks. Ah - no it doesn't. If it did he'd have lines, right? This adventure centres on a retired agent who is called back by a Theresa May lookalike to control the young hacker Luke and point him at targets. Sir Adrian seems to be a reflection of the author, who is now in his eighties. He sends in the SAS but otherwise seems tolerant, then people start getting killed. My impression is that the story was dict This adventure centres on a teen lad with Asperger's who lives in his computer attic and hacks. Ah - no it doesn't. If it did he'd have lines, right? This adventure centres on a retired agent who is called back by a Theresa May lookalike to control the young hacker Luke and point him at targets. Sir Adrian seems to be a reflection of the author, who is now in his eighties. He sends in the SAS but otherwise seems tolerant, then people start getting killed. My impression is that the story was dictated and not edited. Sadly it's obvious that Forsyth doesn't have the foggiest idea what hackers do or how they do it. 'He got around the air gap which is considered impossible' from his attic? The air gap is got around by sending somebody to the office or bank which is not connected to the outside world, who plugs in a flashdrive to a computer in that building. Or by infecting a laptop carried by someone who works in that building. Hackers will look for badges dropped at conferences and airline ticket stubs, will skim debit cards, make phone calls impersonating staff, send phishing e-mails, so on, to gain details for access. Forsyth says none of this; he only knows a few buzz words which have been told to him by someone else. The other sides don't seem to have any hackers. Similarly with the series of incidents which can be chalked up to Luke. Anyone who reads the news on the internet knows as much as Sir Adrian does about the goings on in global politics and the Novichok nerve agent. The various characters seldom interact and remain one-dimensional through the story. Apart from Mrs May-alike, we get no decent female roles, while nobody begins to discuss Asperger's. The solid characters were all soldiers, SAS and a former soldier in Scotland, now a gamekeeper; these came across well if, again, completely one-dimensionally. Mostly what they do is keep the boy alive and make exemplary shots. Forsyth's wishful thinking near the end is quite fun and readers could enjoy the thinly-veiled portraits of the world leaders. I found the way that only a surname and location are required to track down a boy from outside his country, to be reminiscent of The Lord of The Rings (Shire, Baggins) and The Terminator (Sarah Connor). If you want to read about hacking in thrillers, try DS Kane, Thomas Waite, Barry Eisler, Reece Hirsch, etc. If you want to support your longstanding favourite British author, read The Fox. Una de espías, a la antigua usanza con el único toquecito del hacker que aparece como conseguidor casi mágico de información pero no lo hace ni como personaje con voz ni como protagonista ni ná. Eso sí, aparecen todas las siglas de las agencias de espionaje y contraespionaje y cuerpos de élite de Inglaterra, USA, Rusia, Israel, Irán y varios más. Más que novela parece un artículo/ensayo del funcionamiento de las operaciones encubiertas de espionaje…pero funciona lo suficiente como para que te haga Una de espías, a la antigua usanza con el único toquecito del hacker que aparece como conseguidor casi mágico de información pero no lo hace ni como personaje con voz ni como protagonista ni ná. Más que novela parece un artículo/ensayo del funcionamiento de las operaciones encubiertas de espionaje…pero funciona lo suficiente como para que te haga desear seguir leyendo. Es cortito y es como una descripción de distintas operaciones de tiempos totalmente recientes. Por aquí desfila el envenenamiento en Inglaterra del ex-espía ruso y su hija, los encuentros de Trump con Kim Jong-un, la denuncia del acuerdo nuclear con Irán y varias más delas últimas internacionales. Graciosamente no menciona los nombres de Trump, ni May, ni Putin, pero aparecen y mucho. Menos rollo: ¿merece o no la pena?. No es lo que me esperaba, no hay una historia de largo desarrollo ni buenos personajes pero sí, creo que merece. As a longtime fan of Forsyth, I was very interested in how he approached this tale of contemporary technological espionage without falling off the edge into tech speak and so forth. I respect his story telling skill ...The Day of the Jackal, The Odessa File, The Forth Protocol etc ... and was pleased that it was again demonstrated in The Fox. The world is a much smaller place than it once was due to the cyber reliance of all of us in control of every day as well international political affairs. As a longtime fan of Forsyth, I was very interested in how he approached this tale of contemporary technological espionage without falling off the edge into tech speak and so forth. I respect his story telling skill ...The Day of the Jackal, The Odessa File, The Forth Protocol etc ... and was pleased that it was again demonstrated in The Fox. The world is a much smaller place than it once was due to the cyber reliance of all of us in control of every day as well international political affairs. Forsyth introduces Sir Adrian Weston , a sort of retired British cold war agent, who must bring his highly developed espionage instincts to bear on a cyber threat. Multiple invisible enemies, grave overall threats ... how can Weston utilize "The Fox" to manipulate the complex geopolitical attacks to prevent the resumption of the Cold War and minimize the impact of North Korea , the re-emerging Russia and Iranian nuclear aspirations. Frederick Forsyth has been one of my favorite authors for many years although he seemed to have peaked with what may have been his first book, The Day of the Jackal. The result was that I hadn't read one of his novels in years but I decided to give The Fox a shot because I knew that, minimally, it would be good. It turns out that it was, in my not very modest opinion, excellent. As was the case for many of his earlier works, he used the current world situation and real characters except for the Frederick Forsyth has been one of my favorite authors for many years although he seemed to have peaked with what may have been his first book, The Day of the Jackal. The result was that I hadn't read one of his novels in years but I decided to give The Fox a shot because I knew that, minimally, it would be good. It turns out that it was, in my not very modest opinion, excellent. As was the case for many of his earlier works, he used the current world situation and real characters except for the really central roles. He was kind to Trump, although he never mentioned his name, rather referring to him as the President or POTUS. The world is, as is actually the case, in a mess with North Korea developing a delivery system for their nuclear weapons, Iran developing such weapons and Putin attempting to subjugate Europe. Then, it appears that someone has hacked into the unhackable US military site that controls nuclear weapons and other goodies. The hacker is quickly identified as a British teenager with Asperger's syndrome. Then the fun begins. Unlike most books, there is no superagent with a big red S on his chest, leaping tall buildings at a single bound, etc. The book, which was fairly lightly regarded by critics, reads somewhat like a news account of events that could well be occurring in real time with, as mentioned before, many real characters. I found that plot absolutely compelling with suspense building at every turn. The characters seemed quite realistic although the politicians were, inexplicably, somewhat smarter than blocks of wood. Picked this up with great expectations, having been a fan of Forsyth's novels. But was disappointed. The writing style is good enough, the flow, the language. But where is the story? (view spoiler)[You suddenly come across a hacker of all hackers and get impossible things done through him. He makes all other people appear dumb! (hide spoiler)] The events jump. Not very coherent. And then like some movie things change to bring other things to an end! Worst Forsyth book ever written. The book was a horrible disappointment. The overarching plot can be at best described as genius boy waving his magic fingers to defeat all the enemies of the West using a computer. And I use the "magic" deliberately because though the book is about hacking, no explanation is ever given as to how exactly the boy hacks in to the most complex firewalls in the world. While I do not expect detailed and boring manual about how hacking takes place at least the author cou Worst Forsyth book ever written. The book was a horrible disappointment. The overarching plot can be at best described as genius boy waving his magic fingers to defeat all the enemies of the West using a computer. And I use the "magic" deliberately because though the book is about hacking, no explanation is ever given as to how exactly the boy hacks in to the most complex firewalls in the world. While I do not expect detailed and boring manual about how hacking takes place at least the author could have made it sound interesting. Instead the author has used a rather convenient plot device of the boy being autistic and having a sixth sense. Which me leads to a pet peeve of mine. What is with people's predilection towards stereotyping and misrepresenting people suffering from autism? Everywhere you see in pop culture, people suffering from autism are depicted to be socially awkward but some kind of geniuses or savants, which is as far from reality. While I am no expert, I hate it when people try to depict autism as some kind of a "cool" disorder where you are a genius savant and your only draw back is being shy and unable to converse with people; which precisely what the author does in this book. Does the author even understand the problems faced by autistic children and parents trying to raise such kids? The second problem with the book was that there was no coherent plotline by the author and some parts of the book felt downright surreal. The author jarringly jumps from one scene to the next like an impatient teenager telling a story.While previous books by Forsyth were focused on a singular plotline, this one rambled from one instance to another. The plot was an endless reiteration of boy hacks this country's database; then hacks another country's database; ad nauseam. The spook Sir Adrian conveniently has contacts with all the important people in his own country as well as in America. All agencies and governments of U.S., U.K. and Israel are all goody-goody with each other and spy agencies share everything immediately with each other. Bureaucracy does not exist in Forsyth's world. A lot of filler content in the guise of various secret agencies of different countries is bombarded without furthering the plot. The book also suffers from the typical West is Superior the East Syndrome. All that is good is in the West, while all the others are just corrupt, selfish and evil. Everything the Iranians, Russians, Koreans can do, Westerners can do better! The reasons why a country follows a certain course is never ventured in to, but the author is ever prepared to pass moral judgments on all of them. In the end I just have one question which I am sure many other would also be wondering about; Did Forsyth even write this book? It felt as if an intern had written the book in his spare time. If this had been the authors first attempt at writing, I am sure it would not even be published. Alas a lot of people, like me, will buy and read it simply because of the authors prior reputation. If this is the best Forsyth can now come up with, then I completely agree with him, he has indeed run out of things to say. I have really enjoyed some of his earlier books. This one was a huge let down. No character development to the point that you couldn’t care less if the main characters were all murdered half way through the novel. Aprobado raspado... en algunas ocasiones me ha resultado incluso tedioso. El zorro es un libro que parecía que me iba a absorber por completo, y en cambio ha habido veces que he necesitado retroceder en el audio porque desconectaba por completo de lo que se narraba por lo aburrido que me resultaba. Excesivas descripciones, sucesión continua de clichés y final surrealista. Se salva por lo bien documentado que está y por la narrativa, que aunque aburrida, es de calidad. Me da bastante pena hacer una reseña tan negativa de un libro de que esperaba tanto, pero me he llevado una gran decepción. Normalmente las novelas tienen giros de trama, dosis de emoción, personajes diferenciados entre sí, con características que los hacen únicos y por tanto, que te llevan a imaginártelos con una identidad propia y clara. Pues bien, esta novela no hace ninguna de esas cosas. No hay giros de trama: sigue a lo largo de sus páginas un mismo patrón en el que únicamente cambian algunos personajes, países y objetos, pero la esencia y lo que ocurre es siempre lo mismo, para más adelante repetirse, y así continuamente, lo que le aporta poca emoción y más bien te mantiene en un estado de neutralidad ante la obra de F. Forsyth. En lo referente a los personajes, todos me han parecido iguales a excepción de dos, y sin excepción alguna, están marcados por clichés de cabo a rabo. Carecen profundidad, sus pensamientos son tan similares que a veces el lector ya no sabe ni de quién son y muchos de los personajes son totalmente innecesarios a mi parecer. Por otra parte, he de decir que nunca había probado la experiencia de escuchar un audiolibro, y la verdad es que tiene bastantes cosas positivas: me he animado a "leer" un libro que, de haber sido en el formato habitual, nunca le habría dado la oportunidad, y además a la vez que lo escuchaba, aprovechaba el tiempo realizando labores cotidianas carentes de concentración. truly understands how espionage should be written. The fox is an intense thriller that would make a great movie. Forsyth is 80-years-old, and he writes a book that is one of the most relevant and current pieces of mystery and thrill that there is available. I will skip over the synopsis of the book, but long story short, there is a young hacker, Luke Jennings, who assists in finding "The Fox". Not only is writing a thriller in which the antagonist a computer hacker difficult, is hard to make it into a "thriller." Typically thrillers have a bad guy with fantastical skills that rival the protagonist, which i Forsyth is 80-years-old, and he writes a book that is one of the most relevant and current pieces of mystery and thrill that there is available. I will skip over the synopsis of the book, but long story short, there is a young hacker, Luke Jennings, who assists in finding "The Fox". Not only is writing a thriller in which the antagonist a computer hacker difficult, is hard to make it into a "thriller." Typically thrillers have a bad guy with fantastical skills that rival the protagonist, which is why I was a little apprehensive when starting this book. Part of it, and this may make me a little ageist, was the fact that an 80-year-old was writing it. BUT...Forsyth delivered magnificently! This was a great book, with a plot that continued to move along, and it truly kept me captivated until the end. Also, as someone who works in the computer/software industry, Forsyth nailed every term and piece that revolves around the tech industry. Thank you FREDERICK FORSYTH for writing THE FOX. Thank you G.P. Putnam's for publishing it. The 21st century has seen the birth of a new type warfare - cyberwarfare. Mr. Forsyth has produced a book whose plot seems to be ripped from major news headlines (not "fake news!"). Among the major characters is Sir Adrian Weston retired number2 at MI6. Then there is Luke Jennings an 18 year computer hacker of unmatched skills who is affected by Asperger's Syndrome. Sir Adrian recruits Luke to MI6. Also a Thank you FREDERICK FORSYTH for writing THE FOX. Thank you G.P. Putnam's for publishing it. The 21st century has seen the birth of a new type warfare - cyberwarfare. Mr. Forsyth has produced a book whose plot seems to be ripped from major news headlines (not "fake news!"). Among the major characters is Sir Adrian Weston retired number2 at MI6. Then there is Luke Jennings an 18 year computer hacker of unmatched skills who is affected by Asperger's Syndrome. Sir Adrian recruits Luke to MI6. Also appearing is Yevgeni Krilov head of Russia's SVR, the Russian spy agency (see N.S.A and C.I.A.). Making cameo appearances are Kim Jong-un, Vladimir Putin and Donald Trump. None of the last three are painted in favorable colors. The story centers around schemes that Adrian Weston presents to Luke Jennings involving hacking into sensitive Russian, North Korean and Iranian top secret projects. Yevgeni Krilov is posed with the dilemma of stopping these hacks. The story moves seamlessly from Moscow to London to North Korea to Iran to the United States and other locations. I highly recommend this book to fans of Mr. Forsyth and readers of spy thrillers. Although a work of fiction, there are morsels of truth throughout. This book of spycraft is told so authoritatively that it's almost possible to overlook how slight it is. The plot is preposterous, amounting to waving a magic wand repeatedly. The world's greatest hacker is discovered and he can bridge the "air gap," meaning he can hack into computer systems that are not connected to the internet or any other external system. Yeah, right. The book is interesting, though, because Forsyth concisely and smartly tells the history up to the current moment of various This book of spycraft is told so authoritatively that it's almost possible to overlook how slight it is. The plot is preposterous, amounting to waving a magic wand repeatedly. The world's greatest hacker is discovered and he can bridge the "air gap," meaning he can hack into computer systems that are not connected to the internet or any other external system. Yeah, right. The book is interesting, though, because Forsyth concisely and smartly tells the history up to the current moment of various political situations — mostly involving Russia, Iran, and North Korea — with spy-related anecdotes, many of which are based on reality. But the plot ... sigh, the plot. In short, this magical hacker can hack into any database in the world no matter how secure so the U.S. and Britain get to check off their fantasy wishlist of foiling nuclear ambitions and hubris in ways that are humiliating for the targets. This is done without the usual patriotic propaganda some of these books resort to, like "The Pilgrim." But there's nothing to it — historical context is given and then the plot is executed and that's it. Over and over and over. Bechdel test: F. There are two female characters who have lines but never speak to each other — a Theresa May-like prime minister of Britain and a horny widow. This man is in his 80s but still manages to deliver a finger licking,page turning spy thriller,I have nothing but ultimate respect for Mr.Forsyth. Continuing with his same writing style since The Day of the Jackal of schooling people on international political affairs,history and espionage tactics while entertaining you with a fast paced,riveting story,this one hasnt miss any of those ingredients. If you are longtime fan of Forsyth,fan of suspense&thriller,espinoge stories,this one is for you. This man is in his 80s but still manages to deliver a finger licking,page turning spy thriller,I have nothing but ultimate respect for Mr.Forsyth. If you are longtime fan of Forsyth,fan of suspense&thriller,espinoge stories,this one is for you.